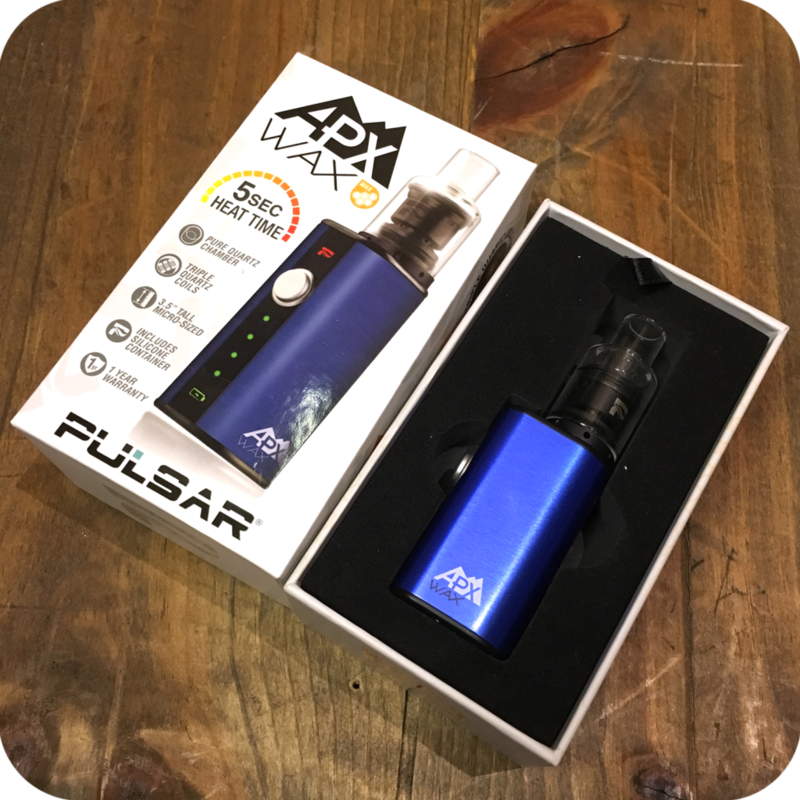 The Pulsar APX Wax Vaporizer is a compact travel friendly vape meant for any wax smoker looking for an on the go discreet piece. The Pulsar APX Wax Vaporizer is incredibly powerful, just as it is fast. With a five second heat up time, this piece may be the quickest and most efficient way to dab. 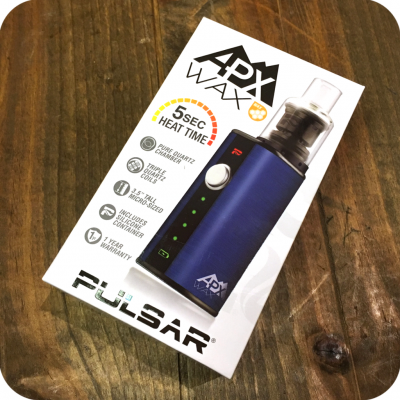 Here is what you can expect with the Pulsar APX Wax Vaporizer. As mentioned above, this piece is discreet and small. 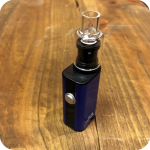 It is only three and a half inches tall, and looks like a regular e-cigarette vaporizer, so taking it on the go is no problem. Its power lies within it’s triple quartz coil and 1100mAh lithium battery. The heating chamber is pure quartz as well, so you can rest easy knowing your wax will be heated evenly and thoroughly. Just like many vapes, is has a five click button locking function for when it is not in use. This piece comes with a borosilicate mouthpiece for comfortable inhaling. It also includes a 32 mm wax container for all your storage needs, as well as a micro USB charger. Finally, it comes with a one year warranty. To activate the warranty, be sure to register the product with the company as soon as you get it home. Check out our many other concentrate and wax vaporizers we have here at Sunflower. And be sure to stop by either one of our three Brooklyn locations to see what else we have! Tags: APX, Pulsar, Pulsar APX Wax Vaporizer, vape, Wax Vape.